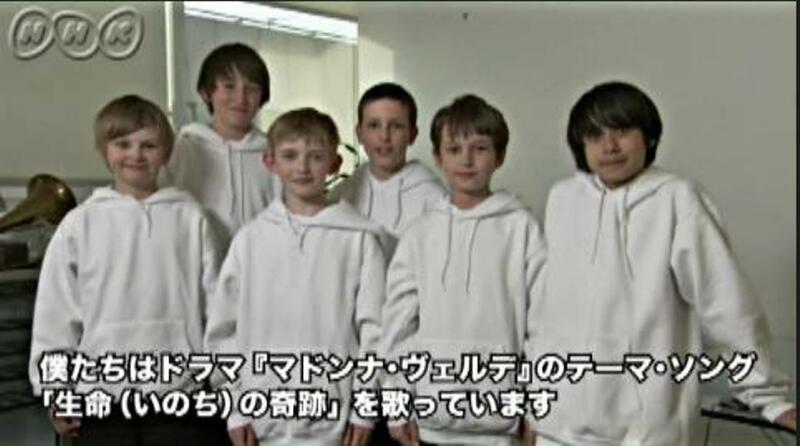 Today Libera posted a short video clip in the NHK website for the drama Madonna Verde. It's nice to see Barney there. 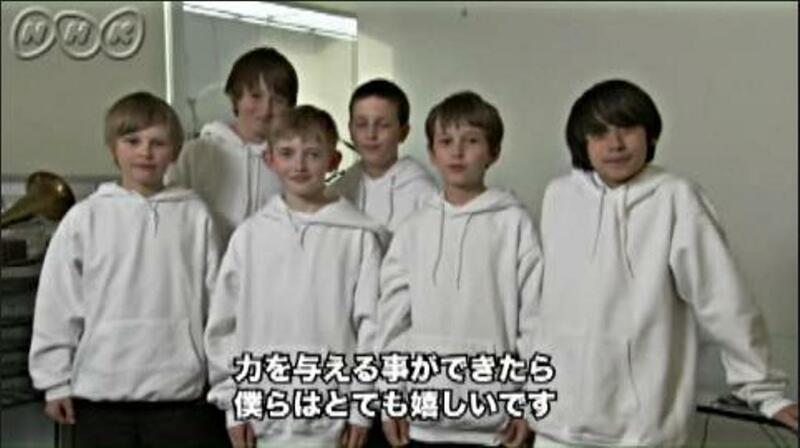 The boys were really kind to their fans there due to the difficult time they had recently. Really inspired message, boys :). I'm pretty sure the people there are touched by their message and the song too. 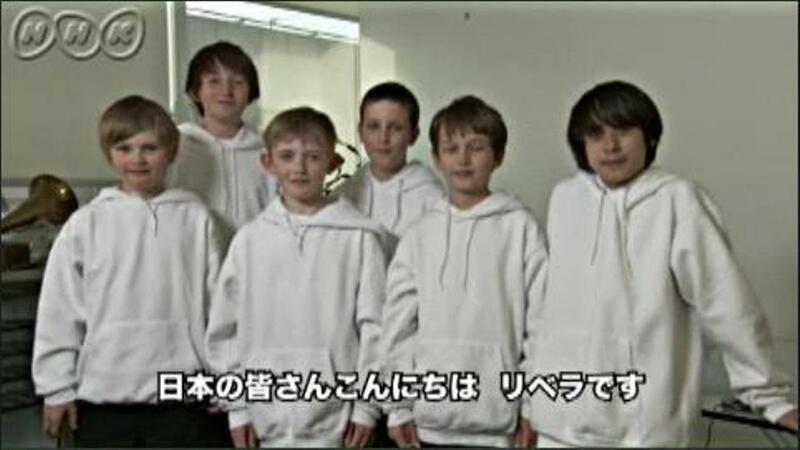 Arigato, hagy, for the link and Mini Angels, for posting it to her blog. To see the video clip, click here. *Edit:The pictures are in a larger version now. 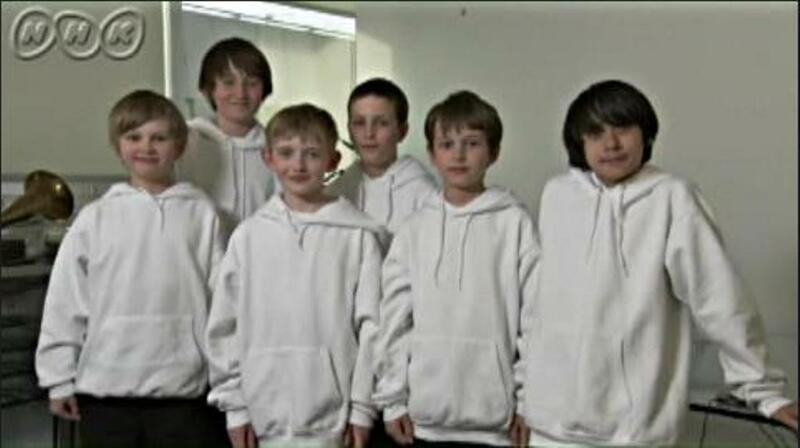 My apologies for the quality, since I'm new to resizing the pictures.